Most people know about the thrifty tip of using foaming soap dispensers for hand soap, but did you know you can also use them for dish soap and body wash and save even more money? When I figured this out it was one of those slap your forehead moments for me. My eldest son does most of the hand wash dishes now, and he goes through a 25 oz bottle of dish soap roughly every 10 days. Any tips I find that might slow down his dish soap consumption I have got to try. By the time I got home however my brain was racing with ideas of how to apply this frugal principle to as many types of soap as possible. Update:I have since tried it on facial wash and body wash with success and shampoo which was a flop (it did not seem to clean as well). You don’t actually have to buy a fancy container you can simply reuse ones that you might already have. The dish soap bottle that I put into action as soon as I got it 2 weeks ago, has not yet needed a refill. I filled it according to the bottles instructions 1/3 cup soap and 1/3 cup water. I estimate that since my seventh generation dish soap bottle is 25 fl oz and a 1/3 cup is roughly 2.5 ounces, I will get 10 refills out of my seventh generation dish soap bottle. If each refill last me 2 weeks the bottle will now last me 140 days instead of 10. 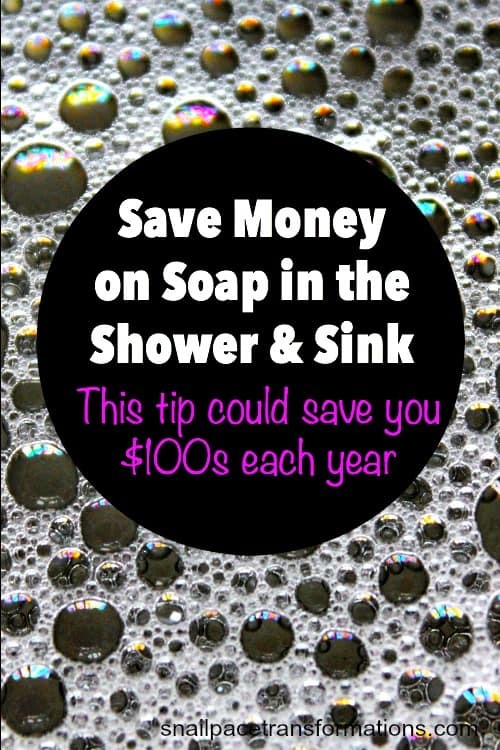 Using the price for a bottle of Seventh Generation dish soap of $ 3.06, I did the math on my potential soap savings. The dish soap use to last me about 10 days tops, meaning it was .31 cents a day for dish soap. Now that same soap will last me at least 140 days making our families daily cost for dish soap .02 cents. That’s a savings if .29 cents a day, $2.03 a week, $8.12 a month and $97.44 over a course of a year. I know that there are cheaper brands of dish soap, however our family lately has been reducing both the chemicals we put in our mouths and the chemicals that we use on our skin, so Seventh Generation is the cheapest dish soap, that I have found in our local stores, that meets our families ingredient requirements. How about you? 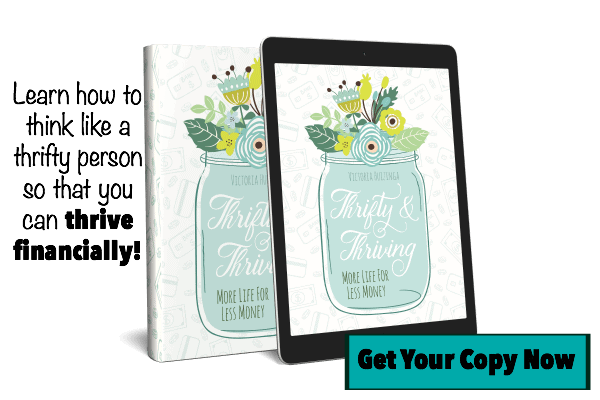 Have you ever taking a money saving tip and stretched it beyond its original boundaries? I’ve been reusing foaming soap dispensers, too. I have found that some soaps don’t work as well in them, but they’re generally easy to refill. Good idea using it for foaming face wash.
We had a similar experience with both dish and laundry detergent. Some (not to be named) individuals in our family loooooved squirting/scooping huge amounts of the stuff into the water. He/she (again not naming, or implicating anyone here) was under the misguided impression that more soap means more clean. 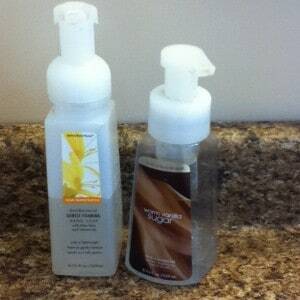 My solution for the liquid soap was to put it in a bottle I had that had a smaller opening, much smaller opening. And for laundry detergent, I replaced the larger scoop with a much smaller scoop. I still can’t get it through his (oops, slipped, yes its a he) head that more detergent is not better. With laundry, more detergent actually wears both the fabric and the machine out faster. I had a repairman out at the house a couple of years ago who told me that the single best thing I could do to prolong the life of our washing machine and dishwasher was to use less detergent. Our glasses are cloudy from using too much dishwashing detergent. We have soft water so we only need to fill the cup 1/3 full to get our dishes clean and keep our glasses shiny. I have been refilling my foam soap dispensers in the bathroom. It really saves on the soap. I have never thought of giving body wash or shampoo a try in a foam dispenser. What a great idea. Love this! I think I have some extra dispensers in the basement from my Shaklee distributor days. I’m going to use them for the kids’ shampoo. Ever since the boys and now my daughter started showering, we go through shampoo so much more quickly. Glad you like it. I has been working really well for our family. Thank you so much for linking up this saving money tip to The Mommy Club last week! Congrats your post was the #5 most clicked post for the week. You are featured on my blog! Thanks again for sharing! Thanks for providing such an awesome blog hop event and thanks for featuring me. I must admit I do re-use my B&BW pump bottles for almost everything. I rip the labels off and refill with whatever I need to wherever I need to. Kitchen: dish soap & hand lotion. Bathroom: shampoo, conditioner, several body washes and hand soap. Hand soap in the laundry room as well.